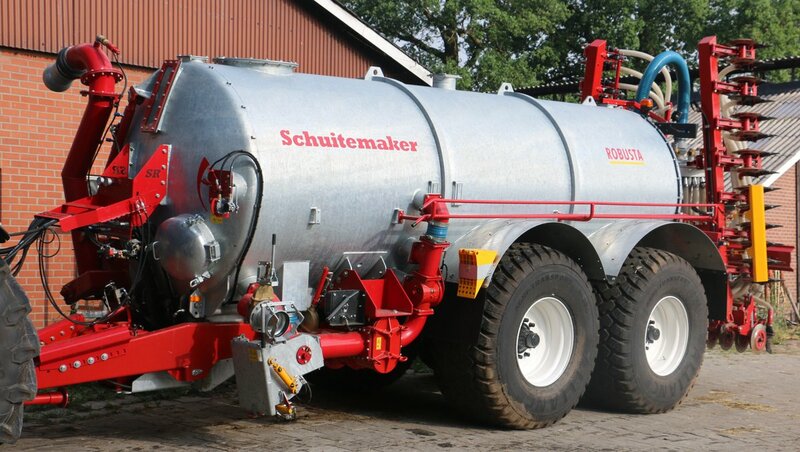 Our new model Robusta 155 WK | Schuitemaker Machines B.V.
Schuitemaker produces the Robusta pump tankwagons which are deliverable in manuring and transport models. 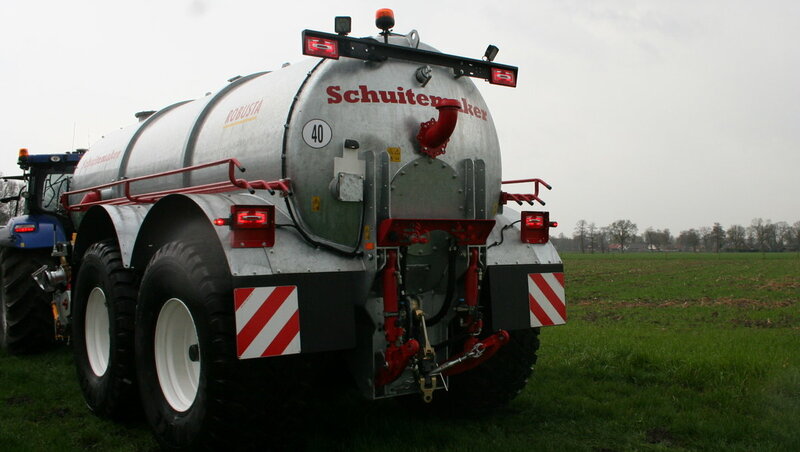 By delivering high quality, the Schuitemaker tankwagon can be used for many years. Robust and dependable are the key words. At the customer’s request we have developed this pump tankwagon. 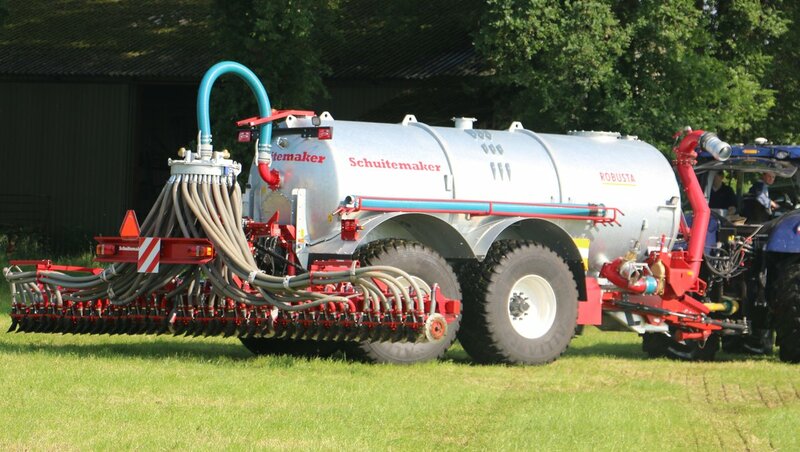 The galvanised tank is very low built for a steady drive on the field, having a low gravity point. The tank has a content of 15.500 liter. 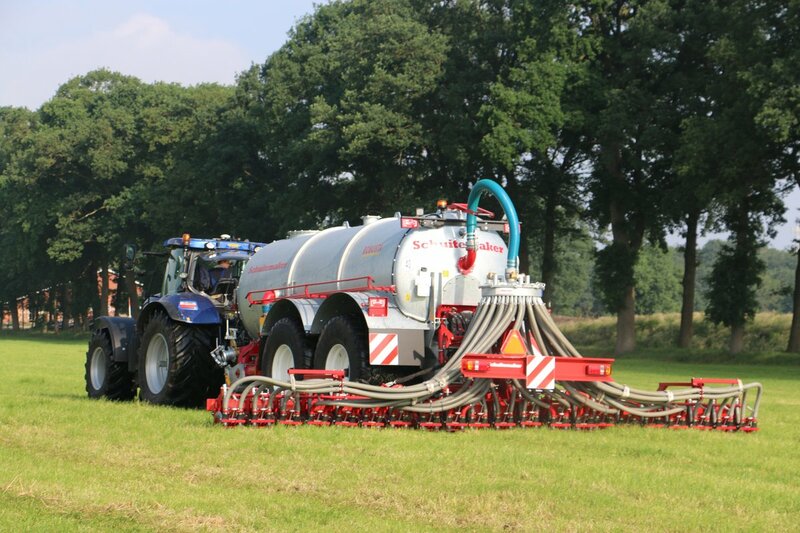 With tyres 750/60R 30,5”Alliance A390 there is less ground pressure. Hydraulic suspended drawbar with ball coupling K80 ensures a perfect driving experience. At the backside there is the possibility to construct a 3 point or 4 point lifting system. To fill the tank there are several possibilities such as the side connection on the left or right, vertical dockarm or vertical slurry arm. We also made preparations for filling on-top with the possibility to install a hydraulic Slide. 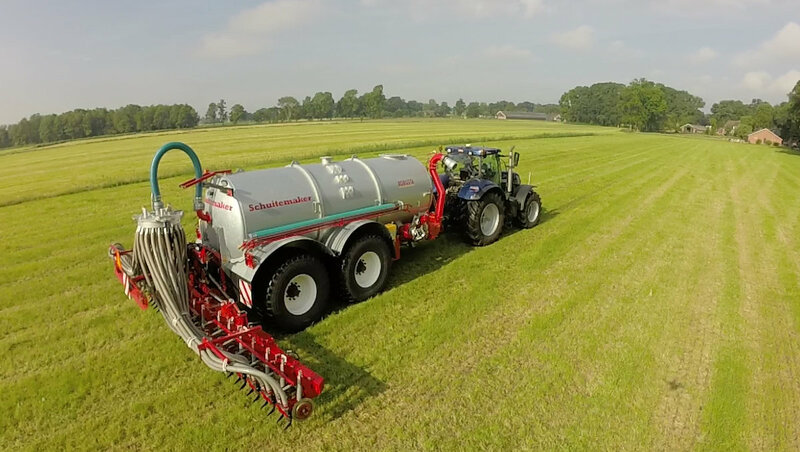 On the left side you will find the Börger pump FL 1036 (6.000L) with 8-speed gearbox to ensure the right amount of slurry, while bringing out. To be certain of a trouble-free operation we have installed a cuttingfilter FT 4100. We also considered the driver. It is possible to install Profi electrical/hydraulic control. Standard all models are equipped with wide angel P.T.O. driveschaft Powerdrive and Led-roadlights.This model is now available.